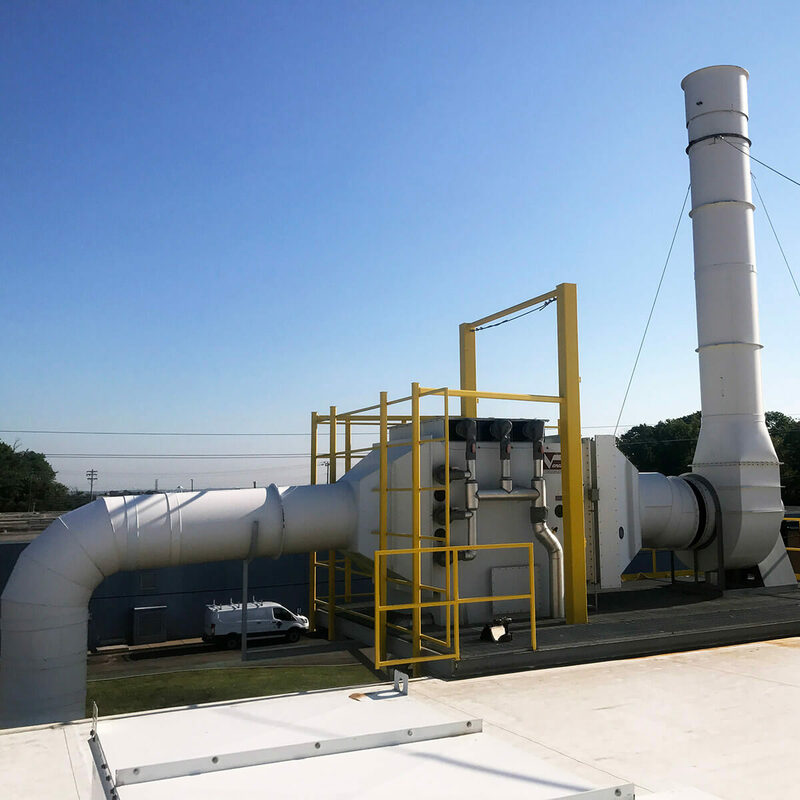 Vanaire designs and builds high-quality Air Pollution Control and Ventilation Systems for a wide variety of industries, ensuring maximum capture and removal of toxic emissions. The corrosive nature of emissions in manufacturing environments requires the use of corrosion-resistant materials, which is why Vanaire uses high-quality thermoplastics like PVC and Polypropylene. Health and safety regulations enforced by Occupational Safety and Health Administration (OSHA), the Environmental Protection Agency (EPA), and other state agencies require the use of Air Pollution Control and Ventilation Systems in any industrial facility that produces chemical-based emissions. These components are developed and manufactured exclusively at Vanaire. We can provide custom systems that fit any of your industrial needs. Whether you need repairs, one part, or a complete system, Vanaire has you covered. Contact our offices to request a quote of our Air Pollution Control and Ventilation Systems today.